Our team of eye doctor and eye care staff are here to care for all of your vision needs. We take pride in building lasting relationships with our patients, which is why we take the time to get to know you, your vision requirements and your lifestyle needs. Eyes are important indicators of overall health, and comprehensive eye care goes beyond a prescription for glasses or contact lenses. At Sebago Primary Eye Care Services, we take the time to get to know you, your eye care history, and your vision needs. From our offices in Bridgton and South Casco, Sebago Primary Eye Care Services has serving patients from Maine’s, Greater Portland, Casco Bay and Lakes regions for over 30 years – schedule an appointment today. If you have a moment, please give us your feedback about our site and your experiences with our Practice. 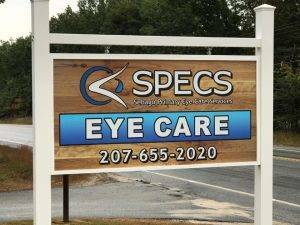 Looking for an Optometrist in Bridgton or South Casco ?